Anchorage is an exceptional city. What was once a town site of tents is now the largest city in the state. It just celebrated its centenary in 2015, but it has seen inhabitants for millennia. It is an economic hub grown from railroads, gold, and oil. Yet it still retains its deep connection to the wilderness surrounding it. While there have been histories of the region, Imaging Anchorage is the most expansive and comprehensive take on the city. This book brings together twenty renowned contributors, from historians to long-time locals, to tell a piece of Anchorage’s story. The essays move through four parts covering some of the major movements in Anchorage: the first people, the arrival of Europeans, the founding of Anchorage, and its transformation into a modern city. The chapters highlight topics such as indigenous history, exploration and early colonialism, the changing demographics of Southcentral Alaska, the rise of the oil industry, the of economic importance of Alaska Native Corporations, the civil rights movement in Alaska, and the role of the military through Anchorage's past and present. 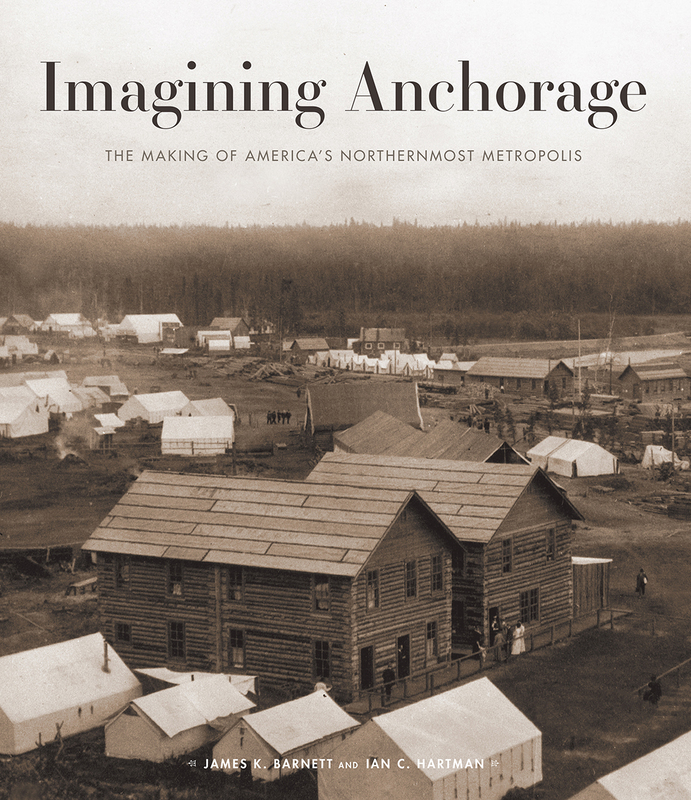 With over a hundred full-color images and photographs to accompany the essays, Imagining Anchorage is a fascinating and much-needed update to the history of this region.